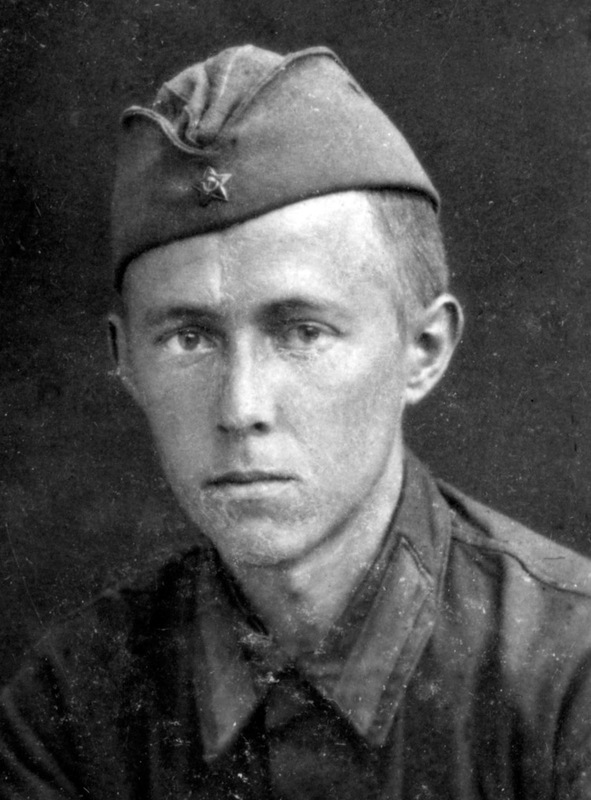 Photographs of Aleksandr Solzhenitsyn's time spent serving in the military and then prison and a gulag camp. 2.1┆ As student at the Leningrad Artillery Institute. 2.2┆ Lieutenant Solzhenitsyn—commander of a sound-ranging battery. 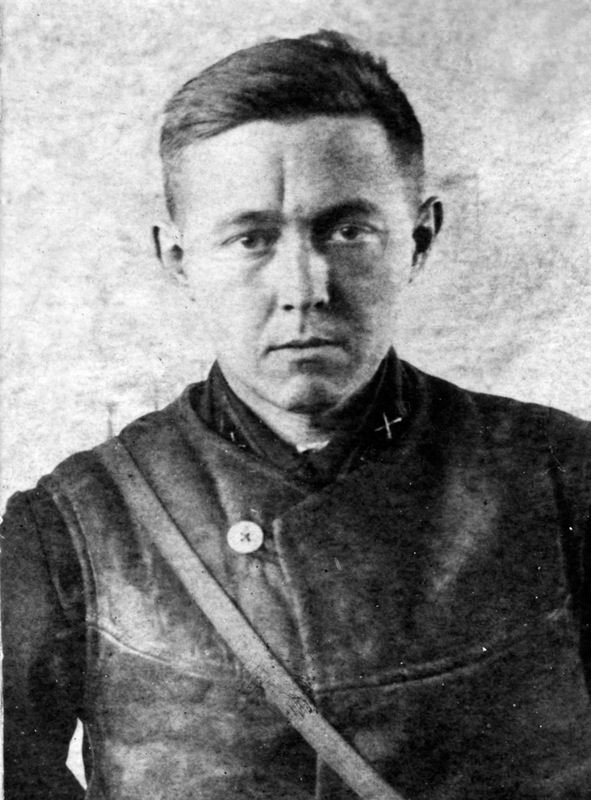 2.3┆ Battery commander A. Solzhenitsyn and commander of artillery reconnaissance division E. Pshechenko. 2.4┆ Nikolai Vitkevich (author's close university friend) and Aleksandr Solzhenitsyn. Tyurino village (near Novosil). 2.5┆ Artillery reconnaissance officers. 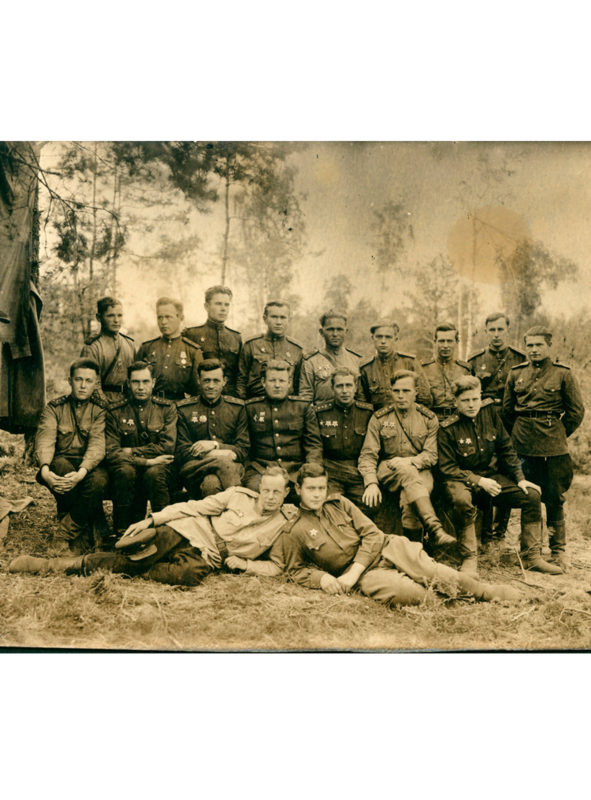 Captain Solzhenitsyn is seated in middle row, far left. 2.6┆ As prisoner on a construction site near Kaluga Gate. 2.7┆ The "Marfino" sharashka (secret research prison). 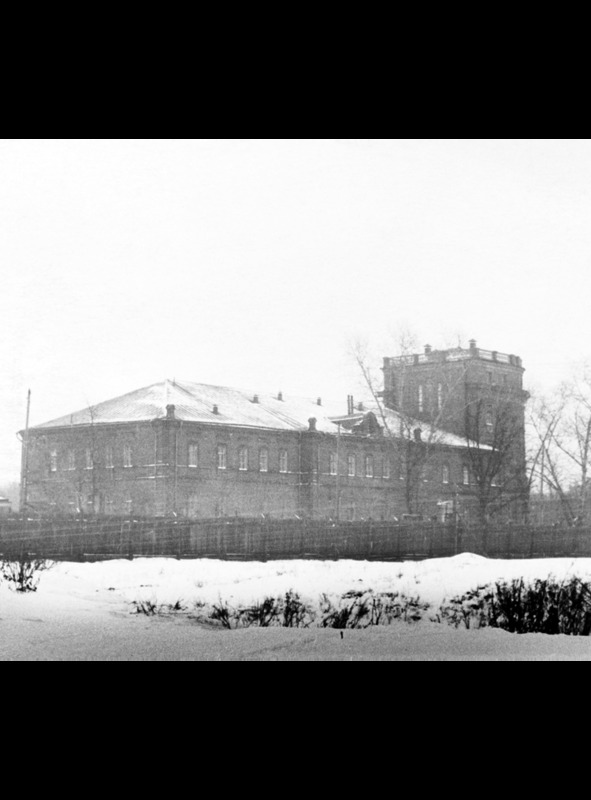 Prisoner Aleksandr Solzhenitsyn worked here from 1947 to 1950. 2.8┆ As prisoner at the "Marfino" sharashka. Official photo in a suit and tie provided by the prison. 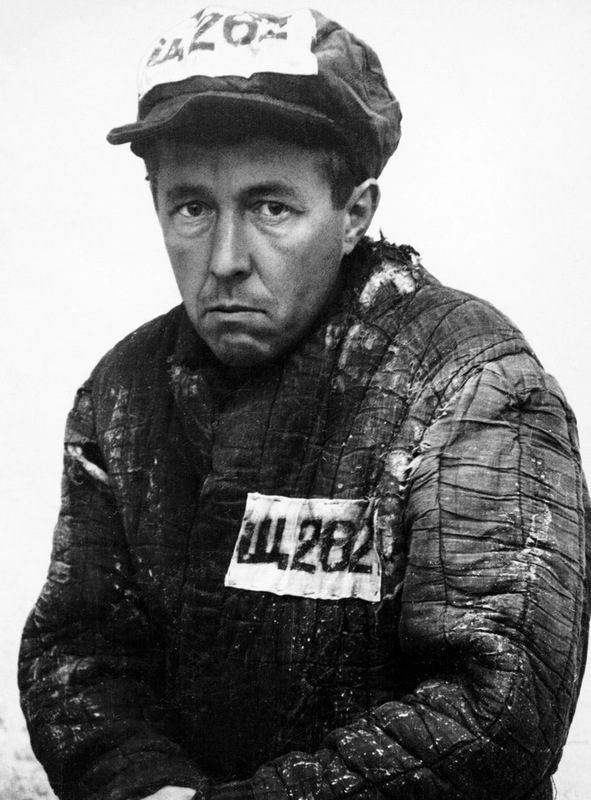 2.9┆ Newly exiled Aleksandr Solzhenitsyn in prisoner garb and number "Shch-262".